Expand Your Visibility with Active UChicago Researchers. The University of Chicago is a hub for new life science research and contributions to the medical and science communities. In 2016, the NIH awarded these researchers $162,879,932 in funding for such projects. 2016 Life Science R&D Expenditures: 47th Ranked = $270,358,000. UChicago received $100 million from the Duchossois family to establish a new research institute to study the human immune system, microbiome and genetics. The University of Chicago received a $10.6 million, five-year award to establish a new research center to develop unprecedented technologies that can decode RNA modifications, the next layer of gene expression control. A five year, $6.25 million NIH grant will be shared among Chicago researchers, including those at the University of Chicago and Northwestern University, to establish a new HIV research center. Last year, the BioResearch Product Faire™ Event at UChicago attracted 198 attendees, of which 56 were professors, post docs and purchasing agents. Of the total attendees 27 were lab managers. These attendees came from 20 different research buildings and 25 on-campus departments. 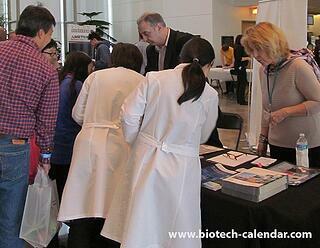 If so, join us at the upcoming University of Chicago BioResearch Product Faire™ event.